In the summer when garden vegetables are at their peak, we often are troubled with what to make or do with all the harvest. I make Zucchini Moussaka. Being on my list of summer list of garden vegetables I plant each year, I so look forward to this dish. Thank goodness I have a large family that will take my summer abundance of whatever I plant. This recipe takes the guesswork out of the daily family meal. Easy to assemble and bake for 30 minutes, it makes a complete meal. 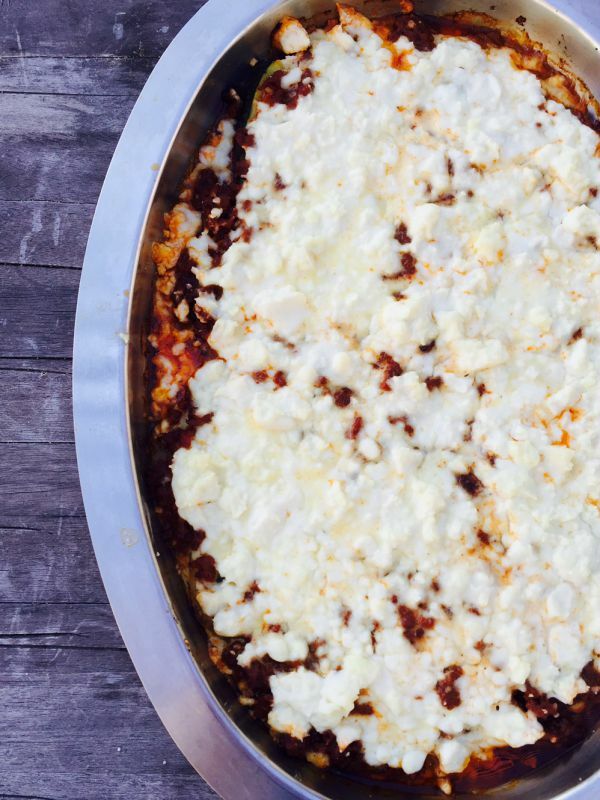 Traditionally, Moussaka is made with eggplant, so feel free to substitute it in. While the vegetables are cooking make sure they are browned lightly. This ensures the zucchini is cooked thoroughly. In the same skillet brown the lamb/beef add the seasonings and add to the vegetable mixture. Combine the egg and cottage cheese, and spread over the top. Sprinkle with feta or Parmesan. This is a short-cut method for weekly meals, traditionally we make a bechamel sauce for the topping. Try an find small curd cottage cheese for a smoother texture. Here, I only had the regular version which is just as good. 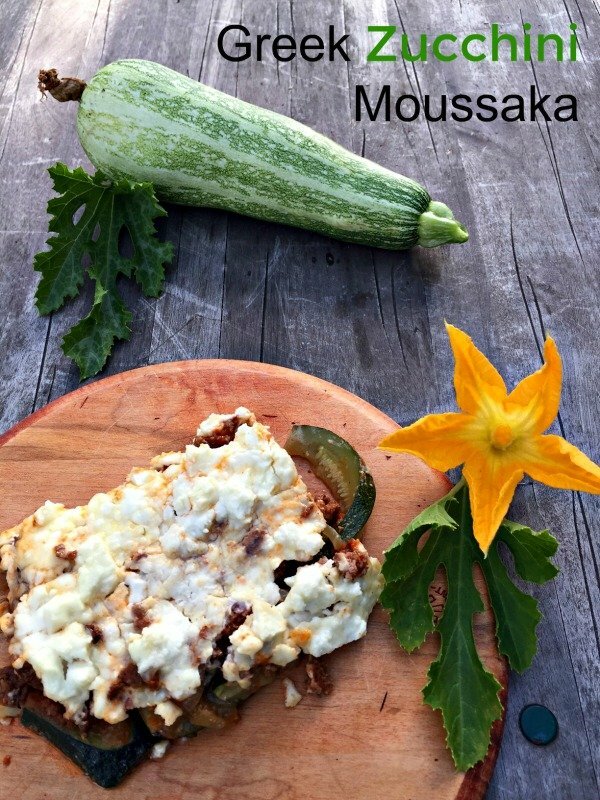 Try this lighter summer version of moussaka, which also can be made as a weekly meal for your family. Double the recipe for company and serve with a green salad. Perfect for summer gatherings. 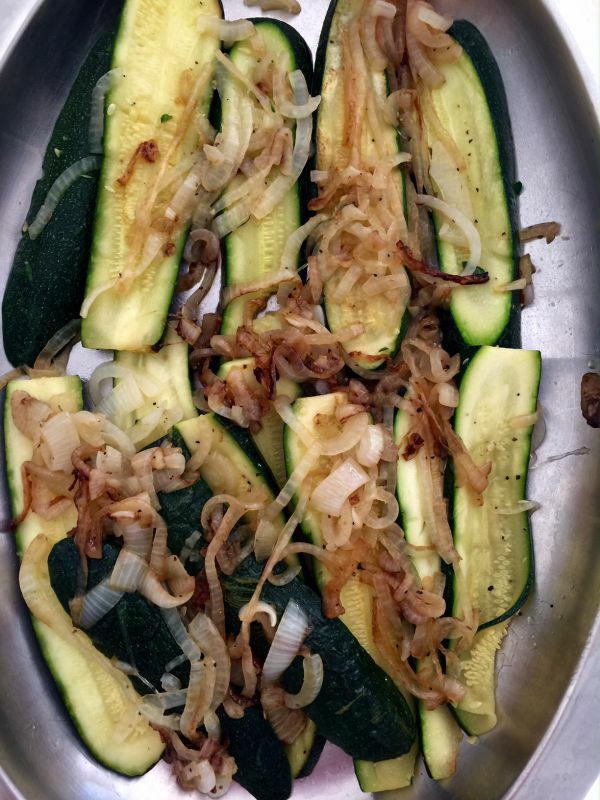 In a a large frying or skillet add the oil over medium heat and saute zucchini slices and onion until slightly brown. Remove and add to a shallow 2 quart baking dish. Return pan to the stove and on medium heat and brown the lamb or beef. Pour off fat if any. Stir in the tomato sauce, garlic, salt and cinnamon. Cook for 5-8 minutes to remove any extra moisture. 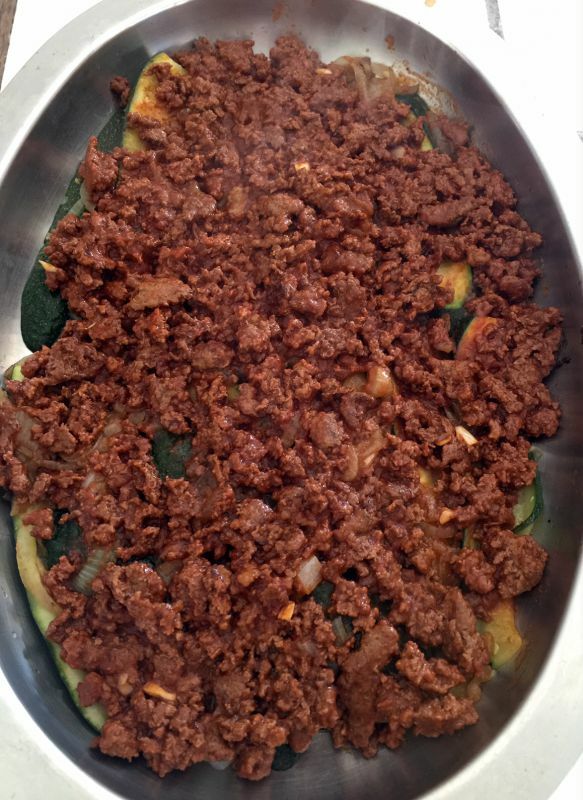 Top the zucchini with the meat mixture. Spread evenly over the vegetables. Blend the egg and cottage cheese, and spread over the top. Sprinkle with the cheese and bake at 350 degrees for 30 minutes. Let sit for 10 minutes to cool. © 2016 – 2017, Mary Papoulias-Platis. All rights reserved. I love that you made this with zucchini. I can’t wait to try this. Just a simple twist and a much quicker method for weekday cooking!